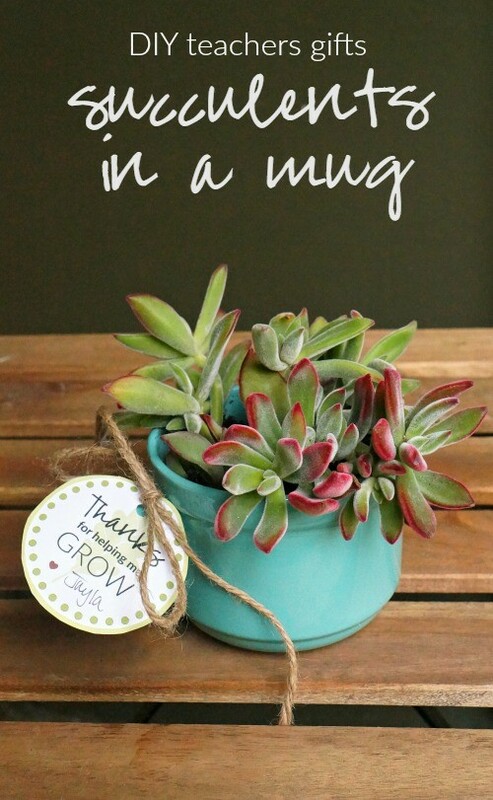 DIY Teachers Gifts: Make This Cute Succulent In A Mug! 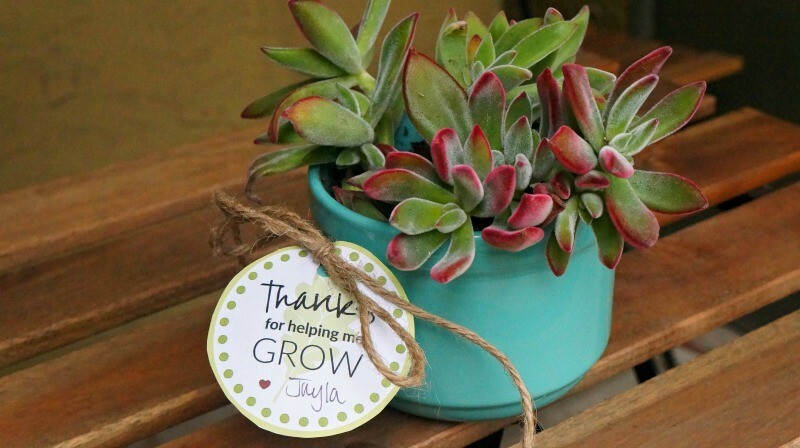 I love succulents, they are super cute little plants that can be set indoors or outside, require very little maintenance, and make easy DIY teachers gifts! Complete with a gift tag that says “thanks for helping me grow,” the succulent in a mug is a cute personalized two in one gift idea: the succulent serves as a plant that the recipient can use as a decoration, and if the plant dies or they end up re-potting it, they’ll have a nice mug to use for the rest of their days! 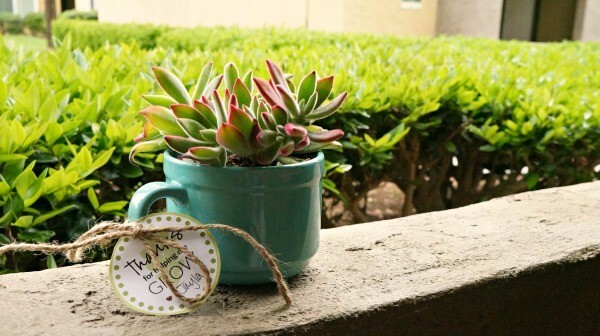 Succulent in a mug: DIY teachers gifts they’ll love! A ceramic mug – this teacher’s mug is super cute! First, you’ll have to make sure your mug is nice and clean. Carefully loose the succulent out of the container it came in. You may have to slip your fingers or a fork down the sides of the plant to do so. Be careful, the dirt is full of the plants roots and you don’t want to sever them! 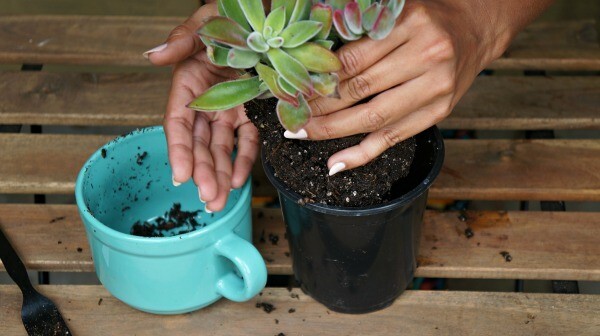 Transfer the succulent to your mug. You may have to pack it down a bit, and if there is a ton of extra space, add some extra soil and position the plant how you’d like it to look. Now, measure a piece of twine around the mug, or just the handle, and tie into a tight knot. 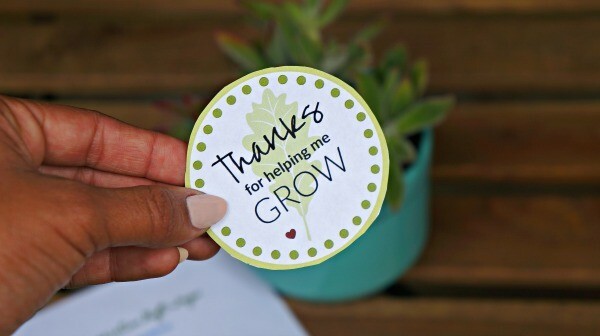 Print out the “thanks for helping me grow” gift tags, cut out the desired size and punch a hole into the top of it. Thread one end of the twine into the gift tag and tie another knot to secure. Finish by tying a nice bow. I really love how this succulent in a mug turned out, succulents are so beautiful and this two in one gift is a cute idea that is sure to please! 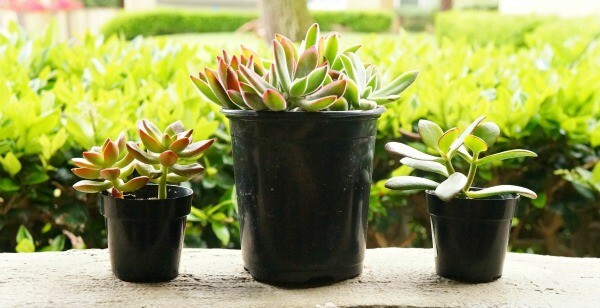 Did you know that you can buy succulents online? 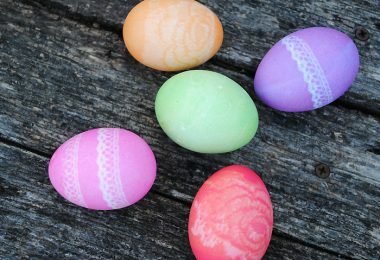 Order a few and make one of these for your child’s teacher – be sure that they sign his or her name onto the gift tag so the teacher knows who the gift is from. 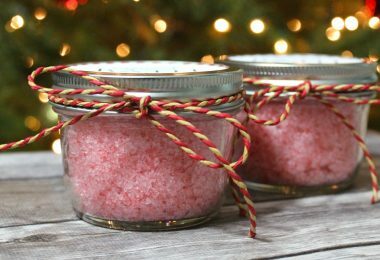 It’s definitely one of my favorite DIY teachers gifts! Also, if you’re looking for an easier teachers gift idea, this Free Amazon Teacher Gift Card Printable Template is a super cute and simple way to give the gift of Amazon! What do you think about this teacher appreciation gift idea? 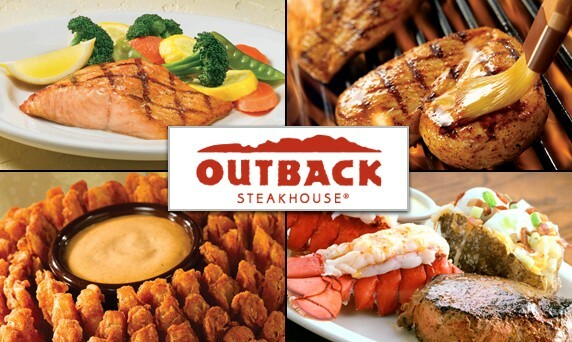 Grab Dinner In A Pinch With The Outback Steakhouse Mobile App!